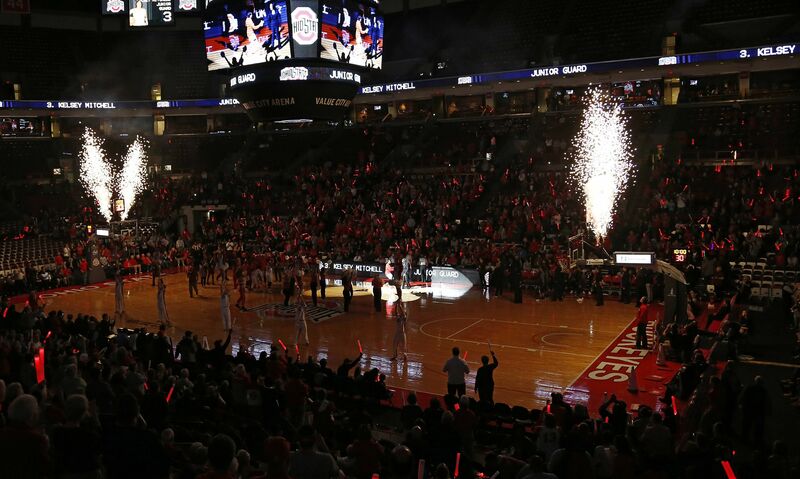 Ohio State Athletics season ticket holders have access to exclusive perks like special event invitations, ticket presale benefits, a personal account executive and much more. Season tickets provide the best opportunity to catch every Ohio State home event on a yearly basis. To learn more in detail about the special benefits or to become a new season ticket holder, please call 1-800-GOBUCKS (select option 2) or email AthleticSales@osu.edu today! Share the Schott – Each season ticket account will receive two FREE tickets to the game Tuesday, December 18th vs. Youngstown State in appreciation of your commitment this season! Redemption Night – Do you have season tickets that you weren’t able to use for a game? Bring them to Redemption Night and exchange your unused tickets for additional tickets to this game. Brutus Buddies—Season ticket holders enjoy a special discounted rate for their kids to join this exclusive club! Share the Schott – Each season ticket account will receive two FREE tickets to the game Sunday, December 2nd vs. Cincinnati in appreciation of your commitment this season! Share the Schott – Each season ticket account will receive two FREE tickets to the game Friday, October 26th vs. Bowling Green in appreciation of your commitment this season! Exclusive Season Ticket Holder Experiences – Throughout the season there will be several opportunities for season ticket holders only such as post game skates, high five tunnels, and more! You will receive an email before each game about these details.